If you ever see yourself in jail, you post bail as quickly as you can. You tell the judge that if they release you now, you will show up for your official court date. However, even though running has never worked out, you decide to try and run away. It is at that point that you come face to face with a bail recovery agent that won’t stop until they bring you back to jail. The bounty hunter has remained a staple of the American imagination, although there are many misconceptions about what it is that we do at Blackman Bail Bonds. 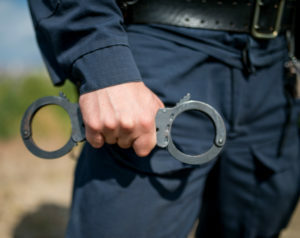 In short, the agent is one-part financial partners, and somewhat of a law enforcement officer, although bail bonds agents are not part of the police force. Because typical financial institutions like banks, credit unions, and other loan providers, will not release funds for posting bail, the average inmate turns to a bail bond provider. They contact us, and we post the amount that gets them home, and we get paid back once the trial is over. However, because we only get reimbursed by courts, if you don’t show up, we don’t receive our money back. Considering how many thousands of dollars that amount can be, we aren’t thrilled when you don’t appear. When you decide to run rather than go to trial, we have no choice but to chase after you. If we don’t get you back in jail within a set amount of time, we lose out on repayments. In most situations, bounty hunters remain restricted as to what amount of force can get used, as well as strict procedures we must follow. Because we are not part of your local police, we only arrest and transport you back to jail. In our profession, we mostly handle three distinct bond types. General surety bonds are for daily arrests, federal bonds for more severe felonies, and immigration bonds, which fall under ICE jurisdiction. Your typical bail bonds agent, however, likely focuses primarily on surety bonds, as they have fewer restrictions and are most needed. We post bail for a small percentage, and we recoup the full amount from the courts after your trial. Once your sentencing has finished, the terms of our bond ends, regardless of whether or not you get found guilty. What is a Fugitive Recovery Agent?